A stripped down version of the Davidson Deluxe Home Office, the Davidson Home Office Desk strips away the surrounding storage sections to unveil a simple desk that still has ample storage space for files and office accessories. 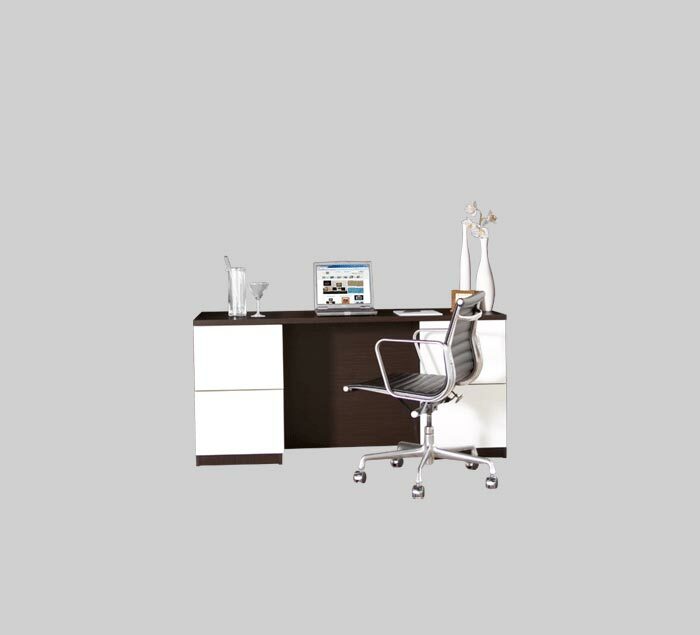 This home desk solution touts a contemporary design that fits amicably with modern and transitional decor. The Davidson Desk Home Office features a 65" W X 30" D desk space that can easily accommodate several types of computer monitors/laptops while leaving space for paperwork and additional decorations. Both sides of the desk feature two utility drawers stacked atop one another for a total of four drawers. These utility drawers each measure 17.25" W X 12" H externally.